Jars have been an very important aspect of the religious and cultural aspect in the lives of the people of South East Asia especially the Philippines, Borneo , Sulawasi and other Indonesian Islands. These jars are mainly from Kwangtung and Fukian provinces in Southern China , Thailand and the odd one from Vietnam or Burma. These Jars date from the 10th century till the 20th century. These jars which were originally used as storage jars by the Chinese merchants, were highly prized by the Natives in South East Asia. They have always regardsed jars as precious and valuable heirlooms ( Pusaka ). 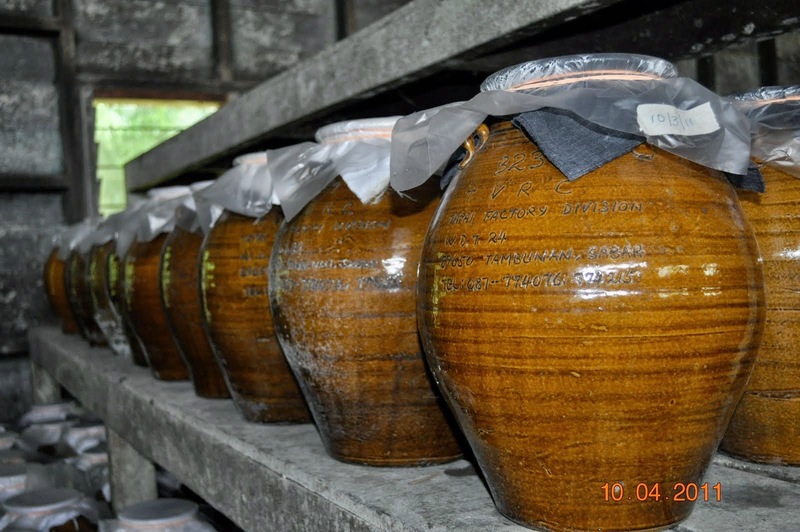 These jars are zealously procted and handed down from one generation to the next. Each Jar has its own value according to its size , shape and colour .They even have different names for the different types of jars. One of the reasons for these jars to be so highly prized is because they came from Chaina or overseas , The local people did not have the skills and techonology to make these jars themselves. They vere generally very duarable and Beautiful. They had to be traded for with the Chinese merchants who only came once a yaer with the monsoosn winds. The Chinese Junks usually stopped at ports like Brunei , Manila, Sulu and other ports on Borneo island. Pearls. These jars have been used for various purposes. They have been associated as symbols of wealth . The more jars and the more beautiful or older the jar , then the owner was considered to be rich or very rich. They are used for storage.